Saxophonist Wally Shoup is a major talent on a new music scene. 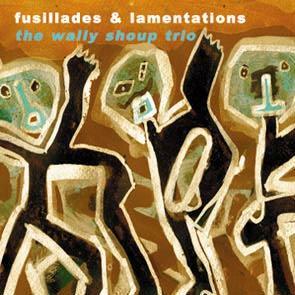 Drawing equally from both free jazz and free improvisational notions of freedom, the Wally Shoup Trio (Reuben Radding on bass and Bob Rees on drums) puts its unique and overtly emotional stamp on a variety of spontaneous compositions. Liberating passion from its moorings through a process of writhing inter-play, the trio weaves sensitivity and harshness into whole-cloth compositions with equal parts sophistication and gut-bucketry. Unhinged from convention, the music both defines and follows its own peculiar structures, giving the Inner Voice a chance to sing loud and clear.